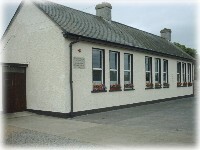 While the new St Brendan's National School (1989) is the centerpiece of the village of Loughshinny, it is actually the third school to be built in the village in just over one hundred years. The original schoolhouse, now a private residence, was built in 1867 and consisted of one classroom with accommodation for the School Mistress upstairs. The second school was built in 1929 and originally had two classrooms. 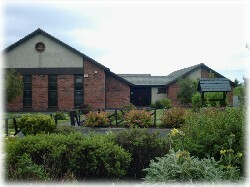 It is now the village Community Centre. The roll books presently in the new school date back to 1867. They contain the names of coastguards' children who were stationed in Loughshinny in British times until the coastguard station was burned in 1921. The school also has copies of material supplied by the pupils of the school to the Irish Folklore Commission, which conducted a nationwide project in primary schools in 1937/38 in order to collect and record folklore and seanchas from every townland in Ireland.